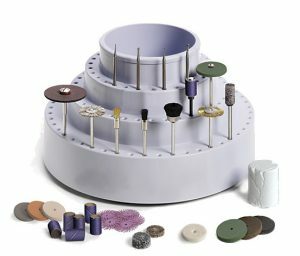 28-pc Assortment of 3M Ceramic Purple Sanding Accessories for use on BL Lathe for sanding, pre-polishing metals, plastics and composites – even wood. Categories: Assortment Kits, Trizact, Bench Lathe Accessories, Mandrels - Drum and Disc. 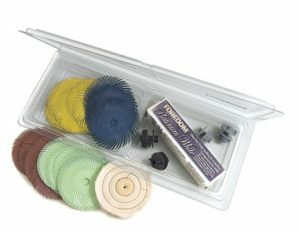 Wayne Wayner, jeweler, craftsman and Foredom demonstrator, developed this sanding accessory assortment kit for use with Foredom’s K.3340 BL Bench Lathe Kit. 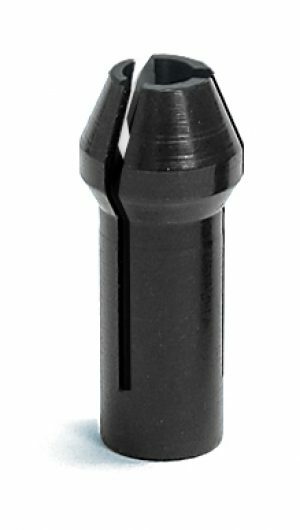 The sanding discs and bands are used with the collet holder that has the 1/4″ collet installed. 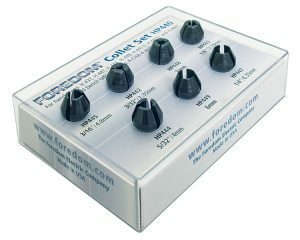 These are some of Wayne Werner’s favorite Foredom products! The Video shows how similar rotary accessories are used with the bench lathe. 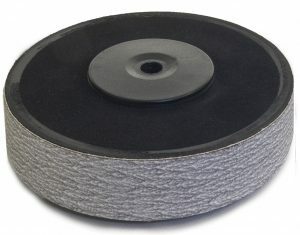 Max Speed Rating: 20,000 rpm for 1/2″ x 1″ Sanding Bands for use on 1/2″ x 1″ Drum Mandrels. Ceramic Purple Abrasives last 2 to 4 times longer—long after conventional abrasives have dulled, shelled, glazed over and been thrown out. 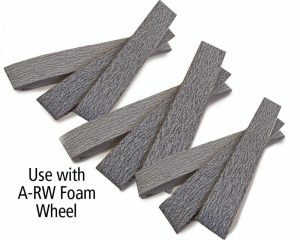 3M’s Ceramic Purple Abrasives are excellent for sanding and finishing wood, metals, fiberglass, diestone, plastics, and other materials. 3M’s Cubitron ceramic aluminum oxide mineral sharpens itself with use. As the triangular shaped grain wears, it continuously fractures to form sharp points and edges that slice through metal, wear evenly and provide super-long life and consistency at any grinding pressure. This process repeats itself throughout the entire grinding process and allows for faster stock removal with less heat and loading. The 1/2″ x 1″ Sanding Bands are perfect for sanding the inside of rings and other concave areas. The 3″ diameter Discs are great for lapping the sides of bracelets and rings. 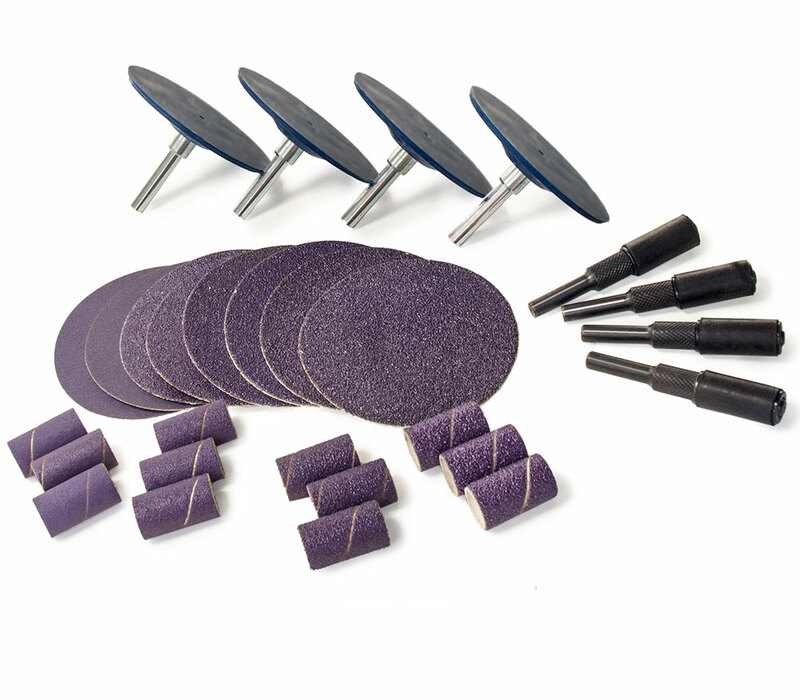 Use Purple Ceramic sanding accessories for removing sprues, cleaning up castings, blending parting lines, and pre-polishing metal surfaces.